Prison Letters - Description | W. W. Norton & Company Ltd.
First published to mark the centenary of Nelson Mandela's birth, The Prison Letters of Nelson Mandela sparked celebrations around the globe. Featuring 94 letters selected from that landmark collection, as well as new introductory material and six new letters that have never been published, this historic paperback provides and essential political history of the late twentieth century and illustrates how Mandela maintained his inner spirit while imprisoned. 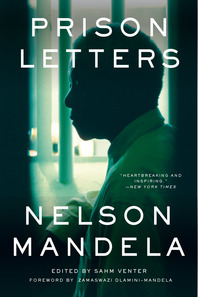 Whether they are longing love letters to his wife, Winnie; heartrending notes to his beloved children; or articulations of a human-rights philosophy that resonates today, these letters reveal the heroism of a man who refused to compromise his moral values in the face of extraordinary human punishment, invoking a "story beyond their own words" (The New York Times). This new paperback edition—essential for any literature lover, political activist and student—positions Mandela amongst the most inspiring historical figures of the twentieth century.